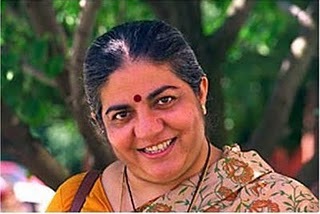 On Earth Day I listened to a podcast that featured a panel discussion with Vandana Shiva. My newest HERO. Dr. Shiva is a PhD in Philosophy, she is also the founder of Navdanya International, a group that is fighting the patenting of the world’s seeds. Dr. Shiva passionately and articulately speaks about the farce of the Green Revolution in the 1960s in India. And how we are once again being accosted by the likes of Monsanto, Bayer, Dow and other chemical companies with their seeds that contain genetically modified organisms (GMO) and terminator technology. Threatening the future of farmers and our food supply. “Currently commercialized GM crops in the U.S. include soy (91%), cotton (88%), canola (88%), corn (85%), sugar beets (90%), Hawaiian papaya (more than 50%), zucchini and yellow squash (small amount), and tobacco (Quest® brand). It might be surprising to learn that the vast majority of processed foods contain some form of the above ingredients, especially soy and corn. What may be even more surprising to some is that these foods have been released under a cloud of controversy over safety. Beginning in 1995 with Arpad Pusztai, of the Rowett Research Institute in Scotland’s, testing of Monsanto GMO potatoes1. Dr. Pusztai’s findings in 1999 were quite the opposite of what he was expecting. As a strong supporter of GMO food Dr. Pusztai’s original intention was to show the safety of GMO foods, not the dangers. Ten-plus years later and we are no better than we were in 1999. The safety of GMOs is still in question and the chemical companies reassuring the safety is almost reminiscent of the tobacco companies saying cigarettes were harmless… OH REALLY… What’s not in question are the strong-arm tactics of the chemical companies in keeping the secrets of their patented materials, we know how they deal with farmers that save seeds – yes I’m talking to you Monsanto- this is why there is such little research out there, they need to protect their patents… OH REALLY… I love how proprietary information trumps public heath and safety – thanks FDA. promises, and instead, are posing escalating problems on the farm. moratorium has been in place since 1998.
at expediting product approval rather than serious safety assessment. The demand is out there for more testing and more information, we deserve to know what we are putting into the mouths of our loved ones. According to Jeffrey Smith, author of Seeds of Deception and founder of the Institute for Responsible Technology, it would only take a boycott of 5% of the US population to make a significant economic impact on the GMO peddlers. And we all know that it’s always about the bottom line. 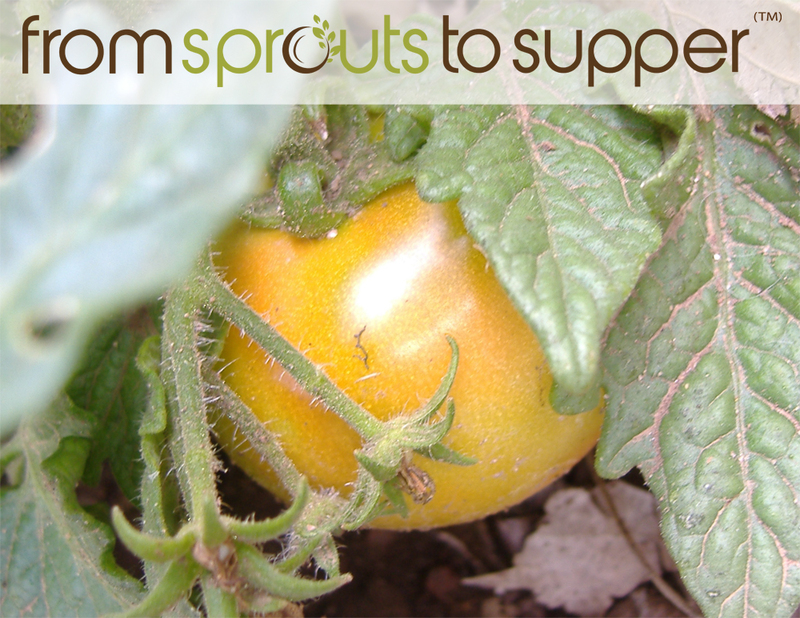 It’s as simple as buying organic whole foods, by avoiding processed foods you drop your exposure to GMOs considerably. Here are resources to help you join us in becoming part of that 5%, tell a friend or two! I haven’t had almond milk in a long time. Why you ask? Because I’m cheap and I don’t want to pay for all of those extra additives that you get when you purchase commercial almond milk. I had tried to make my own almond milk last year and it was a complete, messy, almondy chunk, FAIL… I used cheesecloth, which is great for sprouting but not so much for milking. Now fast forward 6 months, I have commercial almond milk in the freezer for guests and none for me. This past weekend I went to my local big box hardware store and decided to pick up a few paint strainer bags. My raw foodie friends on sparkpeople.com swear by these. Well, now they have another convert. 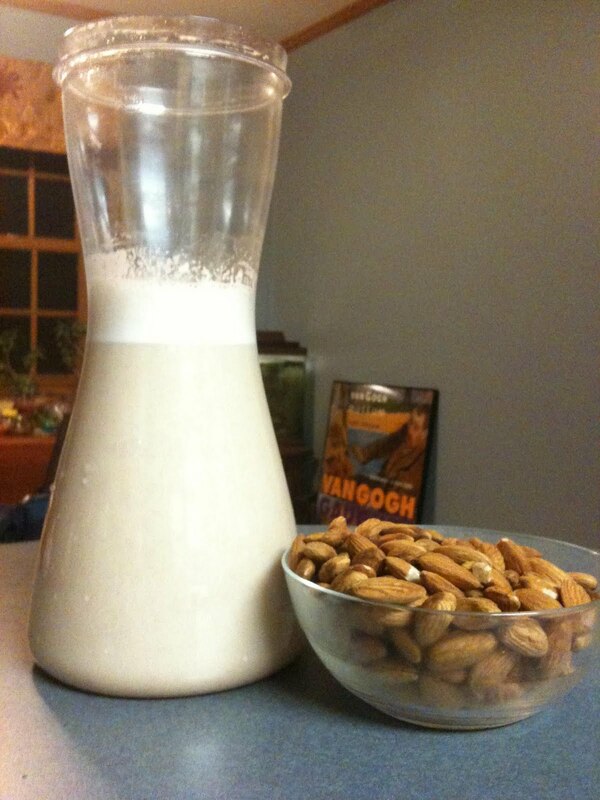 I made almond milk last night and liked it so much I decided to make it May’s recipe of the month. You can use Vanilla Extract too, I didn’t like the one I had at home so used almond instead. You can also use real vanilla beans or let the pods soak in the milk over night. I’m cheap, see above, so I’ll use the extract for now. Once everything is processed as much as possible pour it into the strainer bag over a large bowl and squeeze until you get all of the liquid out. Pour into a sealable container and enjoy it cold. I recommend that you double the quantities, like I said, I made this last night and already went through it! So I’m back to commercial almond milk in the freezer for guests and none for me, but that’s OK, I can make more.